Bay Bridge drivers feel free to stare away. Actually keep your eyes on the road. But an expected distraction for bridge drivers has been delayed. Work to install new sections of a 525-foot-tall tower on the new eastern span of the Bay Bridge is being pushed back at least four days because of a maintenance issue. 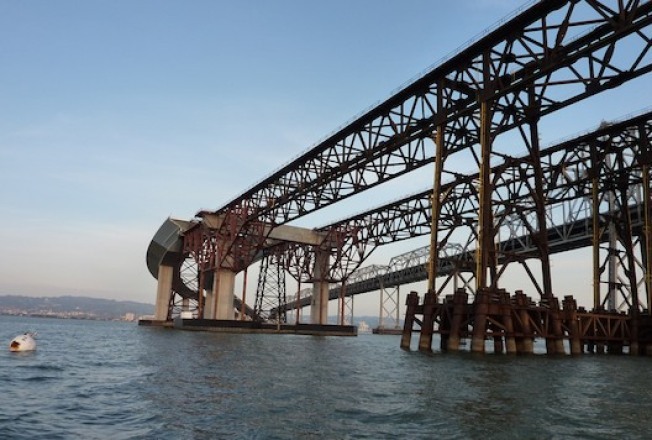 "The equipment has been removed from the bridge for repair and the lifting operation is scheduled to take place the following week," Caltrans officials said. The work was scheduled to begin early Wednesday morning and last four days but now it has been delayed until Oct. 24. The work called for the installation of the four 107-foot-tall, 617-ton sections of the new eastern span's first tower.